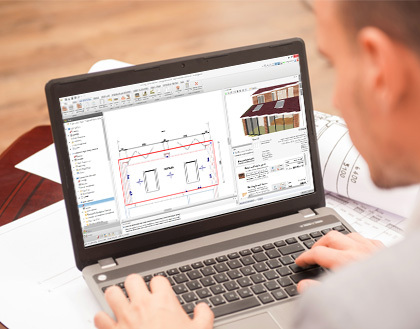 In just six minutes discover how easily you can design an extension, prepare for planning, produce a customer quotation (because the software AUTOMATICALLY creates an estimate from your plan drawing) and then produce your building reg’s compliant drawings. You just need the Design and Estimate Modules in BuildingWorks and away you go. It really is that straightforward, as you’ll see. In this six minute video we’ll swiftly take you through a project from design through to planning to building regs and the final build stage. You’ll see how to quickly, easily and accurately design a loft conversion – but there’s a twist. As you draw – the cost builds at the same time automatically. There’s no trickery. It’s just the Housebuilder Magazine Business Product of 2018 in action. Enjoy! Seeing is believing. Take a look at this six minute video and see for yourself how BuildingWorks costs automatically as it draws – perfect for your design & build projects. There’s nothing like it on the market for the small development/residential market. Can we change your way of working in six minutes? Let’s see! In this video we show how quickly and easily you can estimate the renovation of the ground floor of a terraced property. In less than seven minutes you’ll have a really good understanding of the simple steps. This is more than an estimating solution. Watch and you’ll see what we mean! If you’re a builder, developer or designer this is the breakthrough you’ve been waiting for. A fully integrated, subscription-based construction software platform for new builds, extensions, conversions and refurbs. Incredibly powerful yet hugely user-friendly. Besides, you can see instant costs as you draw plans with BuildingWorks. 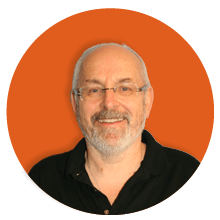 You’ll see BuildingWorks software automatically generating a detailed cost breakdown simultaneously as the plan is being drawn. Subscribe to our Design and Estimate modules – and INSTANT material, labour and plant costs appear LIVE on screen as you draw your building plan – be it a new build, extension or renovation. Finally, on completion of the measuring, you’ll have an automatic estimate, customer quote, NRM/BoQ, reports, gantt chart and more. See how quickly and easily you can trace existing plans and get instants costs! Additionally, you’ll see BuildingWorks software automatically generating a detailed cost breakdown simultaneously as the plan is being traced. Subscribe to our Design and Estimate modules – and INSTANT material, labour and plant costs appear LIVE on screen as you trace your building plan – be it a new build, extension or renovation. Moreover, on completion of the measuring, you’ll have an automatic estimate, customer quote, NRM/BoQ, reports, gantt chart and more. Watch a short 13 minute demonstration of BuildingWorks Design and Estimate modules in action to see exactly how the revolutionary BIM building software works. Consequently, you’ll be able to see how much time it can save you and the benefits of smart ‘optioneering’ based working that saves time, money and effort whilst improving your output. Further, you can see how a (BIM) Building Information Modelling method of construction planning can help you and your building firm. Watch a super quick video from Adrian Wild, Managing Director of Integro Construction Software as he talks you through the exciting launch of BuildingWorks – the most revolutionary construction software package for the domestic construction market in the UK.